Turn off the “User must change password at next login” property. Change the password to some other password yourself, and also make sure that property is not set. In either case, the implication is that some person other than that user now knows what that user’s password. 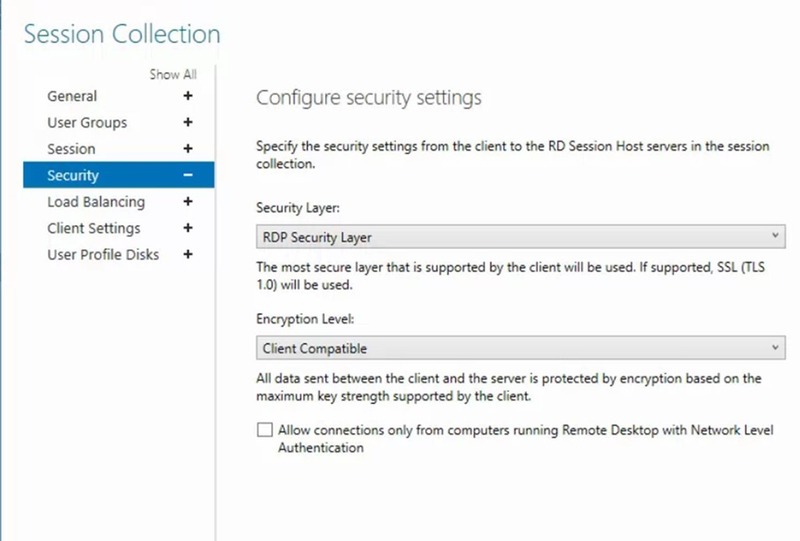 To solve the issue, you have to edit the Session Collection, Security, Configure Security settings and then change the Security Layer setting from Auto-Negotiate to RDP Security Layer. 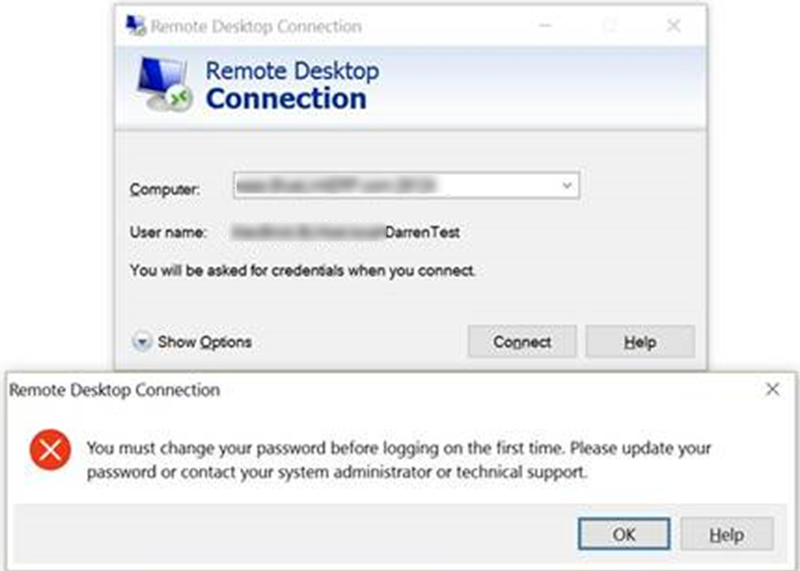 Once that change has been applied, remote RDP users return to being able to set a new password. As an added bonus, this RDP Security Layer is actually more secure, and is also PCI Compliant (at least as of this writing anyway).